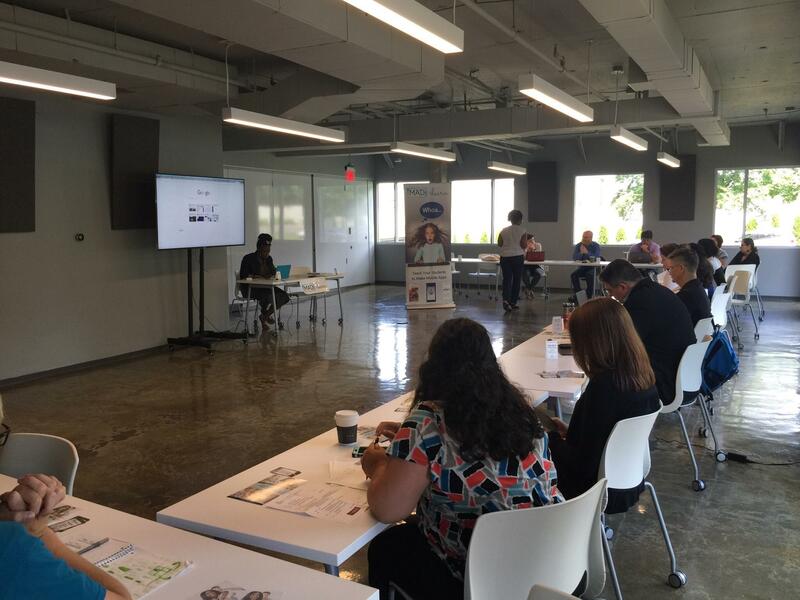 This past Thursday, July 13 at Tech Hill Commons, NTC hosted the We Build Tech Summit designed to connect Nashville’s tech educators and business professionals. 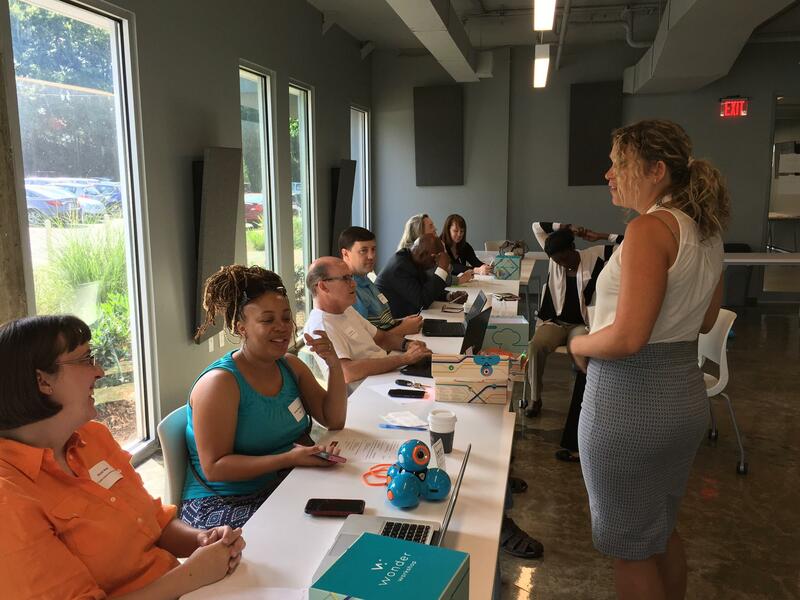 In the morning, the program was geared towards educators, providing different workshops that informed them on how to incorporate technology into their classrooms. The workshops were followed by Keynote speaker, Pat Yongpradit, Chief Academic Officer from Code.org and two panel discussions. Educators participating in the “Robotics in the Classroom” breakout session tried out the Wonder Workshop’s Dash & Dot systems to get familiar with developmentally appropriate introductory robotics curriculum. 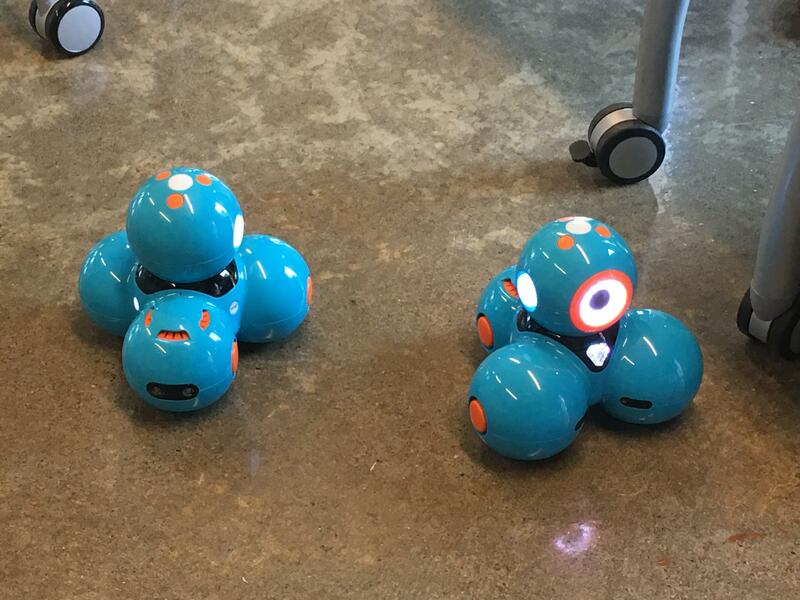 Using a collection integrated apps, educators programmed robots to complete simple tasks while collaborating to develop appropriate expectations when facilitating robotics lessons in the classroom. Our facilitator, Andrea Thompson from Goodlettsville Schools shared application strategies to encourage students to use the robots to solve problems in their schools. The educators then worked in groups to develop week-long lesson plans that address their established concepts and standards. 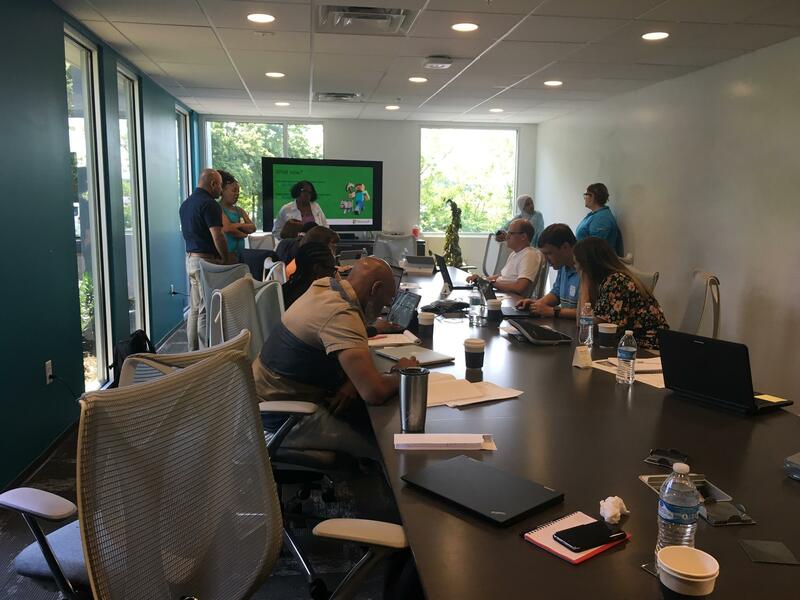 Kimberley Bynoe from MAD learn, a K-12 student curriculum to learn mobile app development, facilitated a workshop on the accessibility and ease of mobile app design in the classroom. The participants were guided through a download of MAD learn’s mobile marketplace. The educators looked at applications designed by K-12 students on topics such as Australian animals, suicide prevention, and addiction counseling. After looking at some of the more creative app designs, the educators brainstormed ways to incorporate an interdisciplinary perspective into app design, such as integrating a Holocaust simulation app into European History. MAD learn is unique in the sense that they encourage students to take on a wide range of roles in app development. While students who have a natural affinity for coding may thrive in such a technology based program, many may feel alienated. By encouraging students to take on roles such as Project Manager or Art Director, collaborative app design becomes accessible to students with a wider range of talents and interests. To end the workshop, the educators worked collaboratively to develop a simple app of their choosing. The finished app? Best restaurants sorted by Nashville neighborhood! In the Virtual Reality and Augmented Reality session, educators participated in operating virtual and augmented reality. During the session, educators were introduced to an application called “Google Expeditions.” This app allows educators to take their students on virtual field trips to destinations they learn about in the classroom. This new technology enhances students ability to learn and allows them to gain a better understanding of what educators are teaching. The instructor, Bridget Clouds from Clarksville Montgomery County, demonstrated the use “Google Expeditions” and collaborated with the educators to teach them how to effectively use the application in the classroom. The application was easily accessible to all handheld devices, therefore educators got a hands on learning experience. 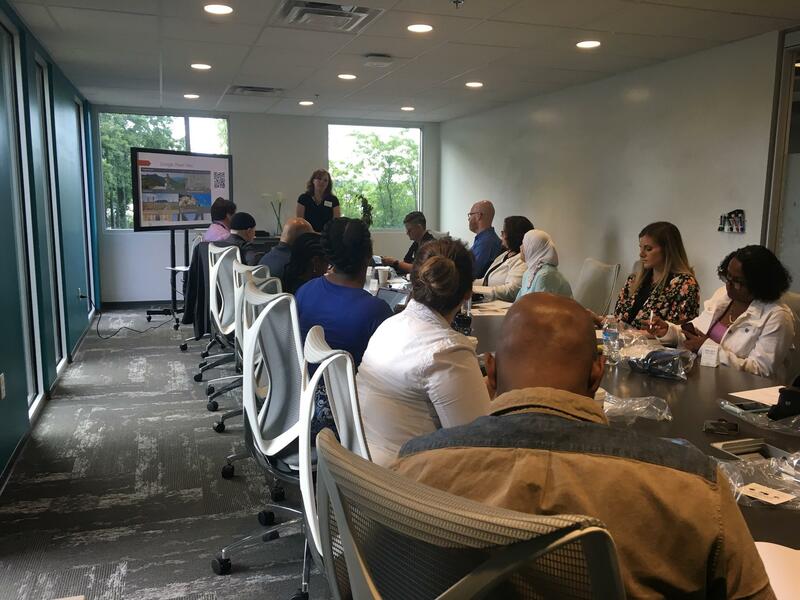 Cathy Morgan and Shannon Winborne, from the local Nashville Microsoft retail store, conducted a workshop informing educators on how Minecraft can be used in the classroom. Minecraft Education Edition challenges students to be creative and problem solve in a virtual world. Students are able to join each other’s worlds and work together on different projects. Minecraft allows educators to use to the program for various subjects and age groups. The program is user friendly and is easily accessible to students and instructors. Some subjects Minecraft Education Edition is useful for are math, art, and social studies. During the workshop, educators were able to collaborate with one another and ask questions. After, they were able to use the program and test it out. The program is available on Microsoft and Apple products. In our next post, we’ll be talking about the We Build Tech Summit afternoon sessions. You won’t want to miss it! 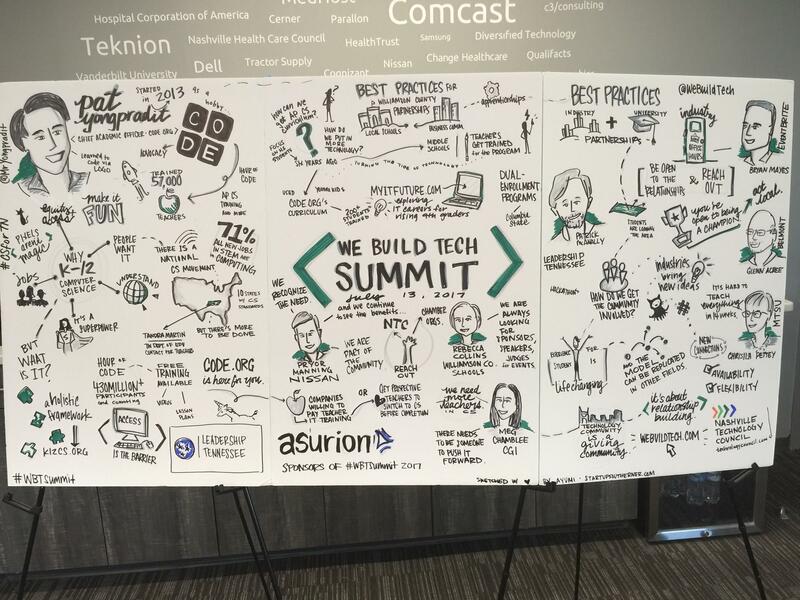 Again, thanks to the #WBTSummit sponsors Asurion and Leadership Tennessee.